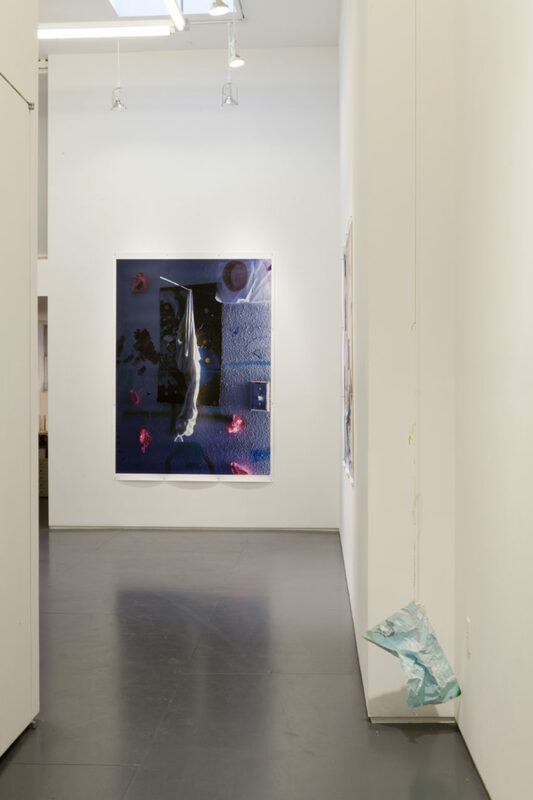 Klaus von Nichtssagend Gallery is pleased to present the first New York solo show by David Gilbert, a Los Angeles-based artist. Titled Angels, the show will include photographs and sculptures. A reception for the artist will be held Friday, December 9 from 6-8PM. The show will run from December 9 through January 22, 2012. 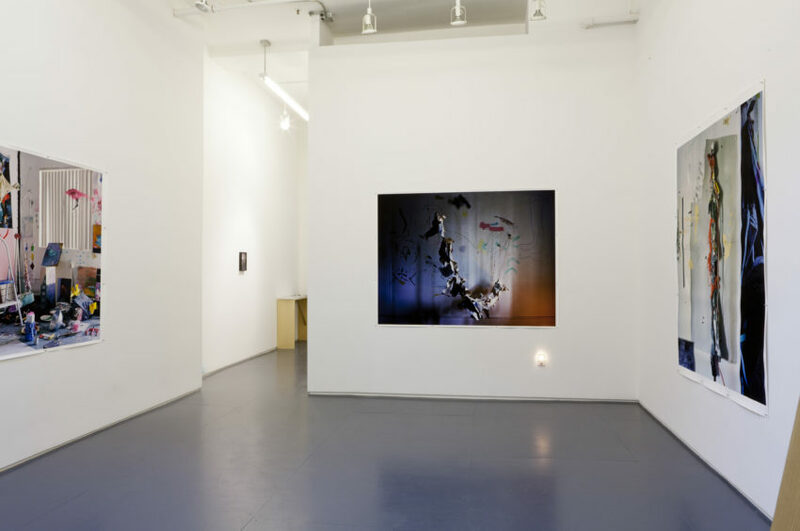 David Gilbert’s installations of photography and sculpture are an effort to pin down ephemeral forms, creating a dialogue between image and actuality. 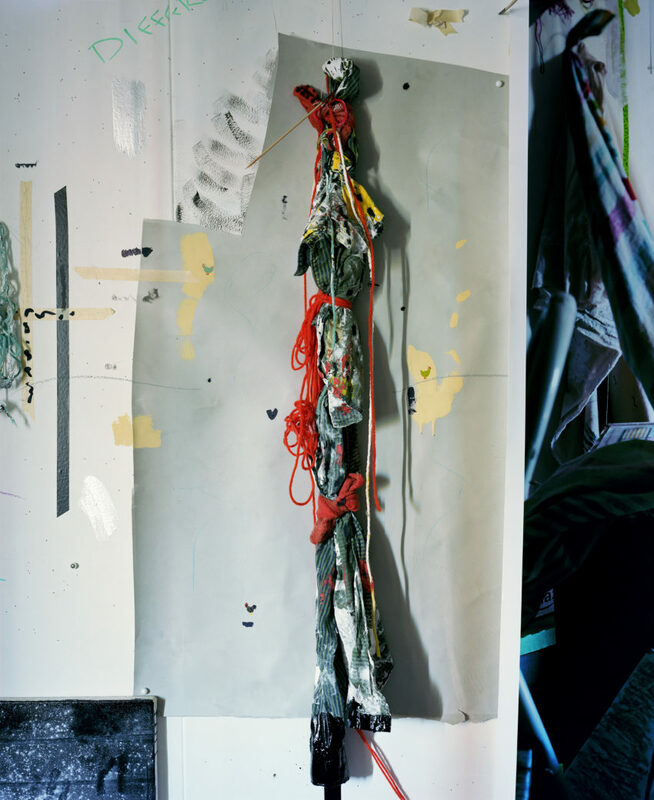 Gilbert’s studio practice begins by working with humble materials such as fabric, clothing, paper, cardboard, paint, and yarn. 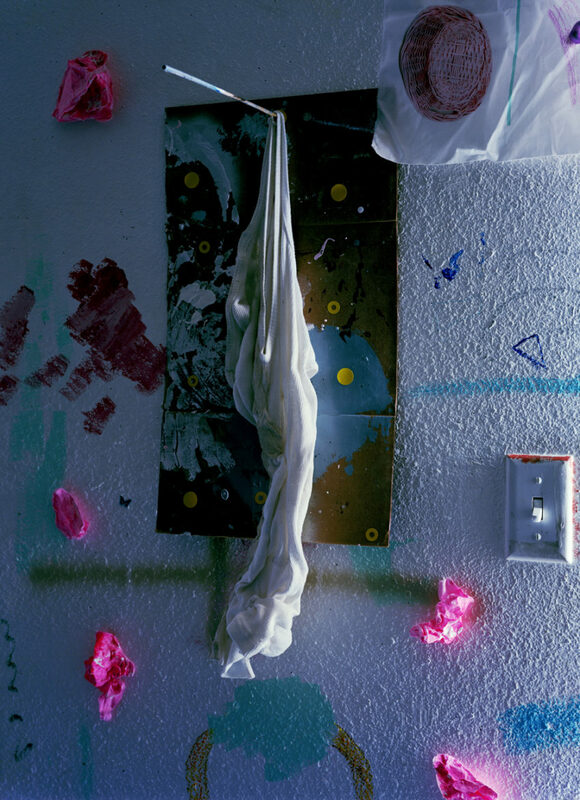 The resulting messy, fragile, and often whimsical assemblages are arranged within the studio environment as still-life compositions or theatrical vignettes. Gilbert often photographs these arrangements with a 4×5 camera under chiaroscuro lighting conditions and presents the resulting images as large-scale prints. 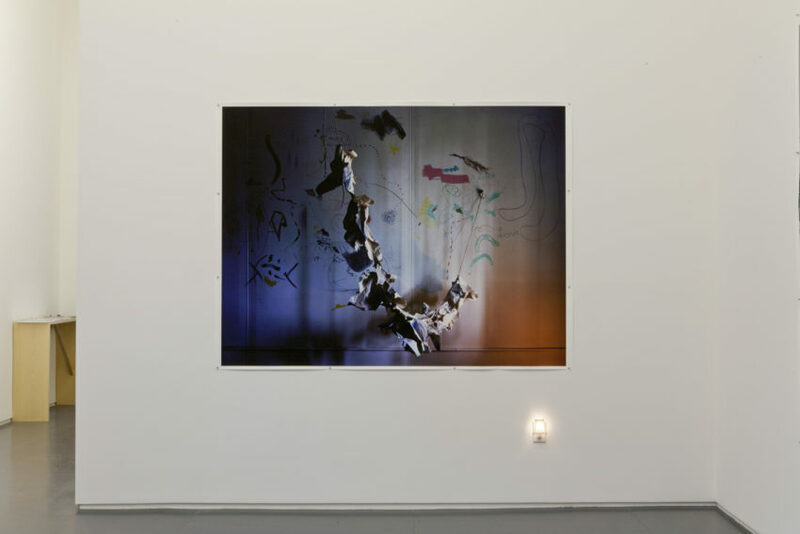 Through this re-representation, Gilbert exposes the photographic medium’s transformative potential, elevating and dignifying the scrappy sculptures into the realm of portraiture. 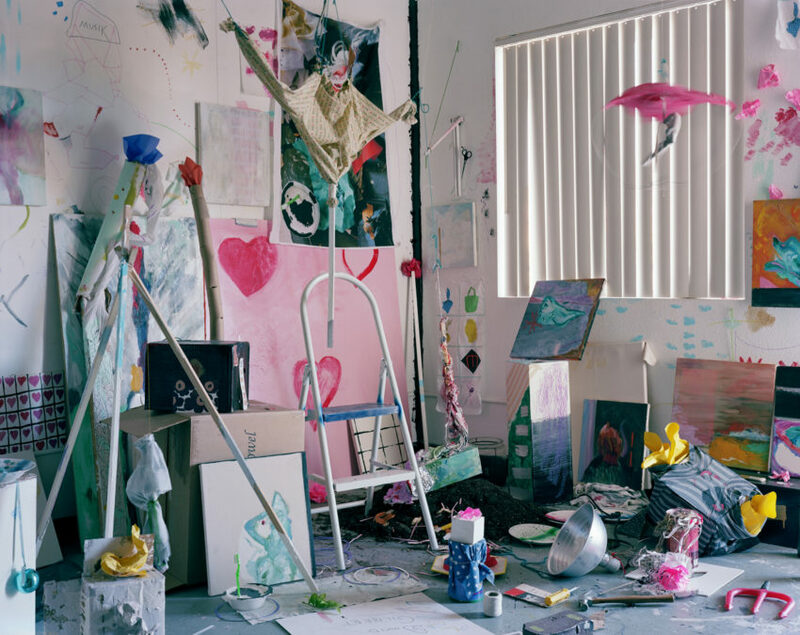 With a nod to painters such as Ingres and Vermeer, and photographers Robert Mapplethorpe and Peter Hujar, these “portraits” generate a conceptual fetishization of their subjects. 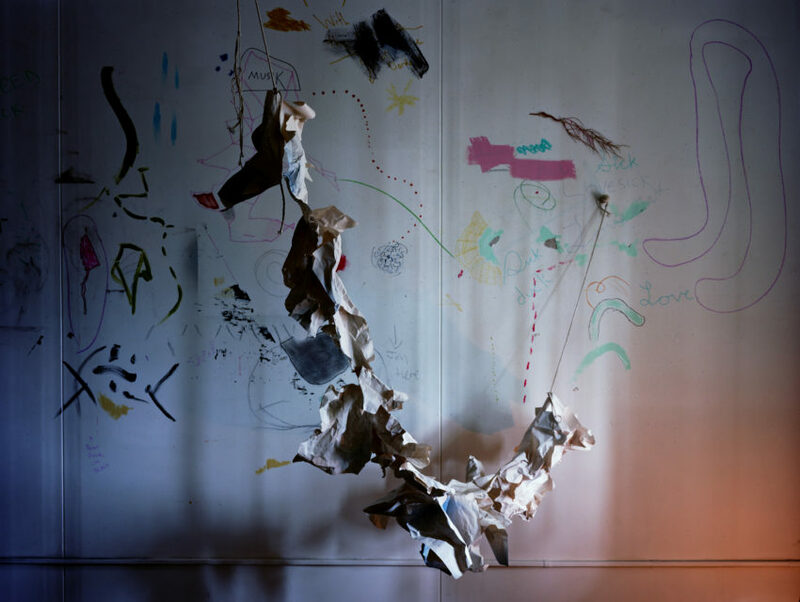 The work operates between abstraction and vérité, where the viewer recognizes the materials from which the sculptures are made, but the resulting forms are ambiguous, ghostly or crude figurations. David Gilbert lives and works in Los Angeles. He holds an MFA from the University of California, Riverside. 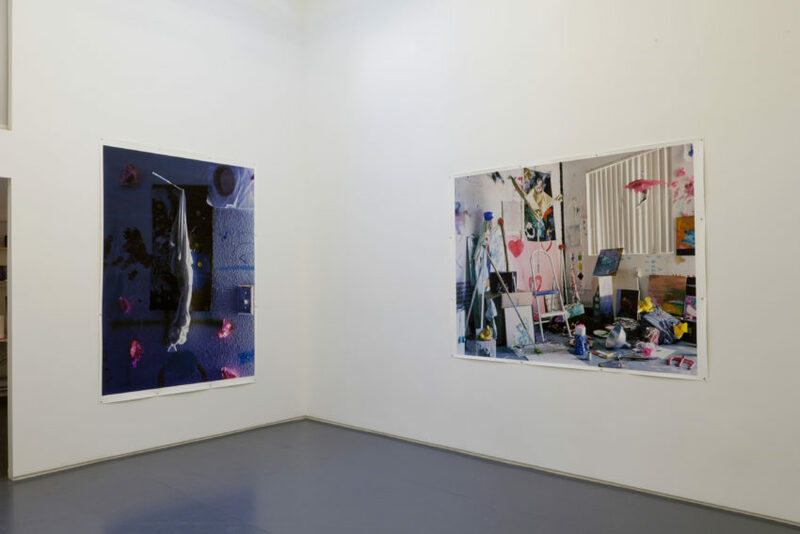 Recent solo exhibitions include The Tierney Fellowship at New York University, and Workspace, Los Angeles. 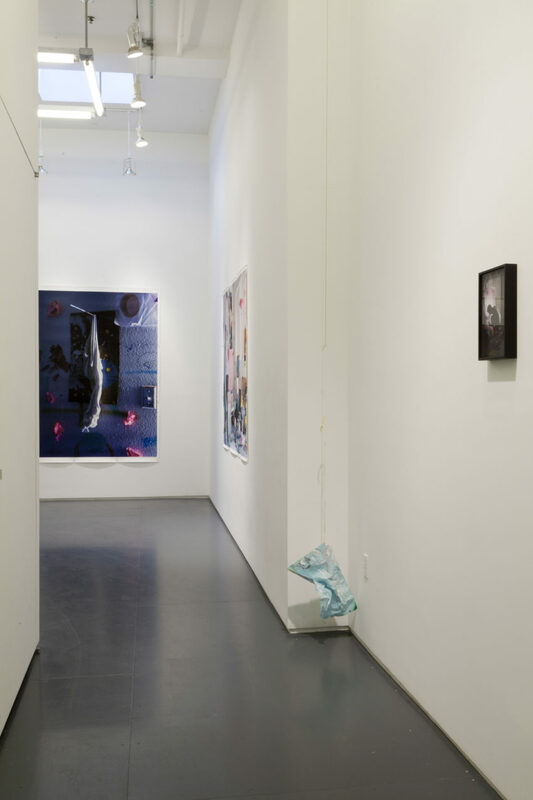 Group exhibitions include Works of Paper, ACME, Los Angeles, and Rear Window, Night Gallery, Los Angeles.